Allow me to introduce myself. 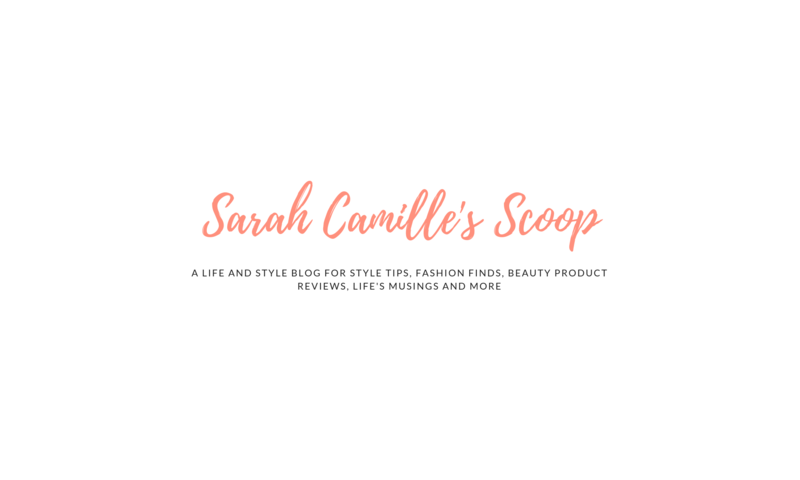 I’m Sarah Camille – the person behind Sarah Camille’s Scoop! I have a double name and go by “SC” for short. I grew up in South Carolina and Northern Virginia with my parents and two brothers. Fast forward through college at Clemson University and several years of working, I now reside outside our nation’s Capital with my husband Will. I have a passion for writing, so I created this blog as a positive, creative outlet during a time when I was changing jobs and my work situation was more stressful than fulfilling. When I am not busy with work, blogging or facing life’s many adventures, I enjoy being outside, running, baking, online shopping, watching Netflix documentaries, taking my 15-year-old dog Maddie (a 10lb white fluff-ball) to the park and hanging out with family and friends. Biggest weakness = CHOCOLATE and online shopping! My name, Sarah Camille is a double name, like Mary Kate. It was my grandmother’s name so everyone calls me by the whole thing or SC for short. I went to Clemson University for undergrad and got my Masters in strategic communication from American University. You’re welcome to email me at sacahipp@gmail.com if you’d like to get in touch! You can also reach out to me on Twitter and Instagram. My handle for each is @sarahcamille22. This site contains affiliate links and sponsored posts. If you click on a post or product links, I could receive a small compensation. That said, my content on Sarah Camille’s Scoop is an authentic reflection of my personal taste and honest opinions of various products, brands and items I use.